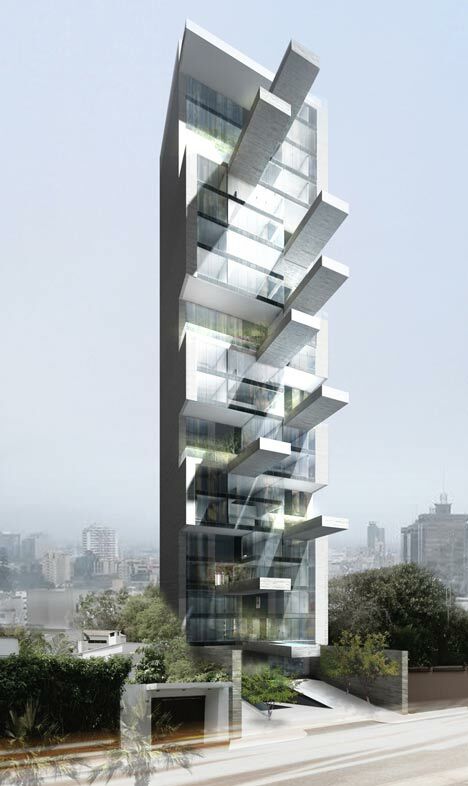 As photographed below, DCPP Arquitectos from Mexico have designed a tower of what they call “sky condos”, in Lima, Peru. The twenty storey residential building would be constructed beside a golf course on the eastern side of the city. The apartments feature glass façades and a series of elevated courtyards which will also include the concrete swimming pools. 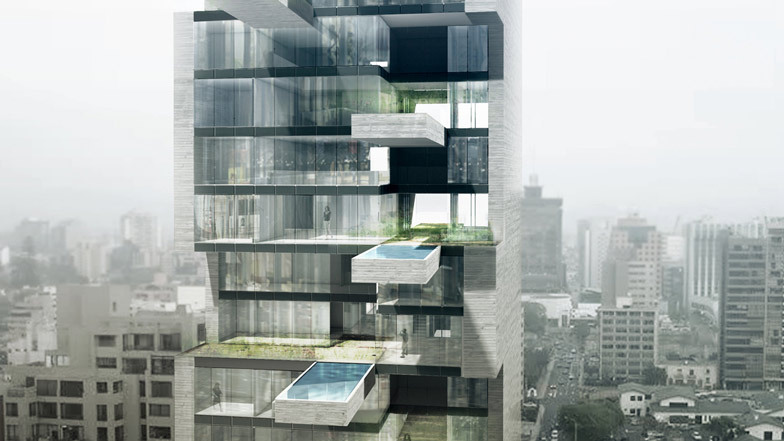 However, the designs from the architects show the swimming pools without any safety railings. 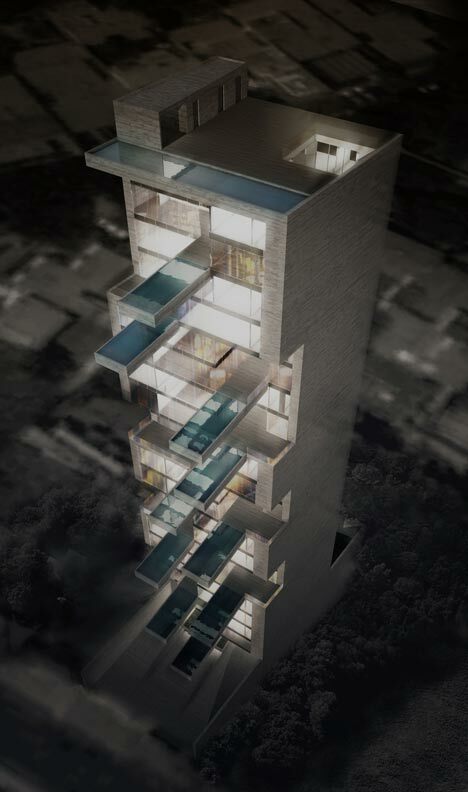 In my opinion these condos have a fantastic design and would be a rather intriguing addition to the skyline of Lima. However, the only down-side is the rail-less swimming pools – clearly this would be a health and safety issue which could be easily cleared up if with glass railings. This entry was posted in Architecture, Exteriors, Residential and tagged Architects, Architecture, Contemporary Design, DCPP Architects, Design, Dezeen.com, Exterior Design, Exteriors, Inspiration, Inspirational, Modern, Modern Design, New Finds, Opinions.